Mumbai: The Maharashtra government Thursday said that 268 people had died due to swine flu in the state between January and October this year and 32 people were on ventilator support. 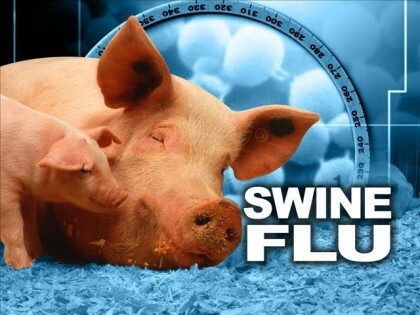 The state Health department Thursday also released guidelines for the treatment of swine flu patients. “Maharashtra is the first state to formulate guidelines for treatment in such a way. These guidelines, according to which swine flu patients should be treated, will be sent to all government and private hospitals in the state,” Health Minister Deepak Sawant said Thursday. Sawant had Thursday convened a meeting of the Diseases Control Committee due to the increasing number of swine flu cases in other areas of the state including Nashik, Pune and Satara. “Considering the growing prevalence of swine flu, the state government has taken serious note of it and has announced guidelines for treatment of critical patients,” the minister said, adding that the guidelines lay emphasis on how to treat patients in the intensive care unit (ICU). “These guidelines have been prepared by the Expert Doctors Committee and will be distributed to private and civic hospitals, and members of Indian Medical Association,” the minister said. Sawant said doctors should make changes in the guidelines depending on the condition of each patient. There are around 2,300 people infected with swine flu in the state, he said. “This year, 60 per cent of the swine flu patients hail from rural areas. Swine flu has killed patients in the 41-50 year age group,” he informed. He said that hospitals have been instructed to administer Tamiflu to patients suffering from cold and fever in case their condition does not improve in 24 hours despite medication. “Tamiflu pill is not known to affect adversely. Private doctors should use it,” he said. The minister also informed that 29 deaths have been reported so far from dengue. One pt.from Pune is critical in our hospital isolation ICU. She has tested positive for swine flu. She was a tourist.